Woolco were full line discount department stores based out of Columbus, Ohio. At its peak they had hundreds of stores throughout the U.S., Canado and even the U.K. In 1979 it became clear that their cost cutting plans were not doing the job so they began to shut down their least profitable stores. 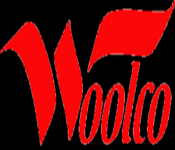 In 1982 Woolco ceased operations in the U.S. however their Canadian stores remained open until 1994.